On March 23 and 24, St. Peter’s Health Partners held the 19th annual Journey Through The Body – A Hands-on Discovery Adventure, co-sponsored by WNYT-NewsChannel 13. 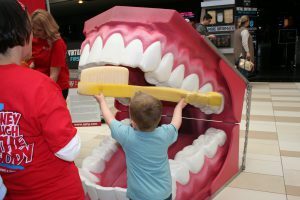 Children and families gathered at Crossgates Mall to walk through a giant ear, listen to their heartbeat, stroll through a 16-foot brain, learn CPR and more. 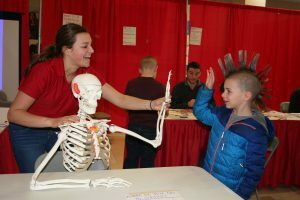 Clinicians from St. Peter’s Health Partners and other volunteers, including students from Rensselaer Polytechnic Institute, shared their knowledge of the human body through interactive, hands-on exhibits and games. Thank you to all the volunteers who helped to make this incredible event happen, and thank you to everyone who attended! View the photo galleries on the St. Peter’s Health Partners Facebook Page!